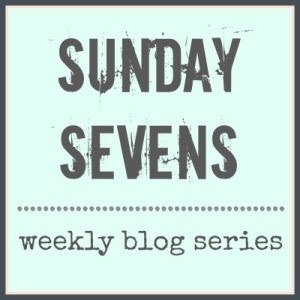 Sunday Sevens is a simple but effective way of documenting a week using seven images. Nat came up with it, so read all about it on her blog. 1. 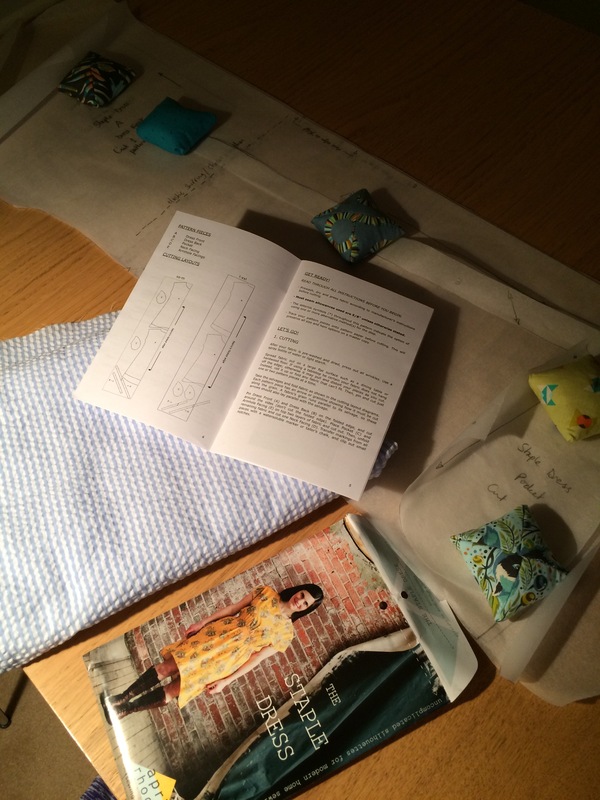 Began planning an indie make ready for The Monthly Stitch’s June challenge. 2. 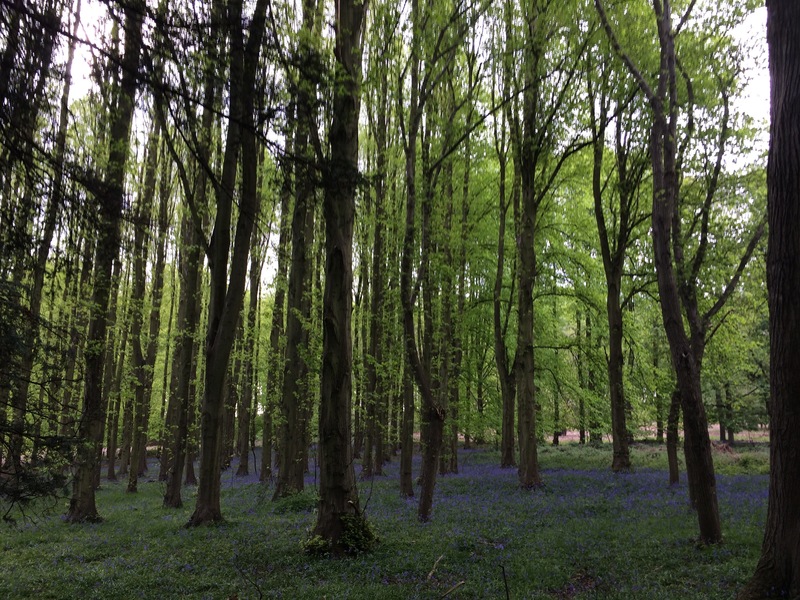 Beautiful bluebells brightened up a walk on a grey evening. 3. 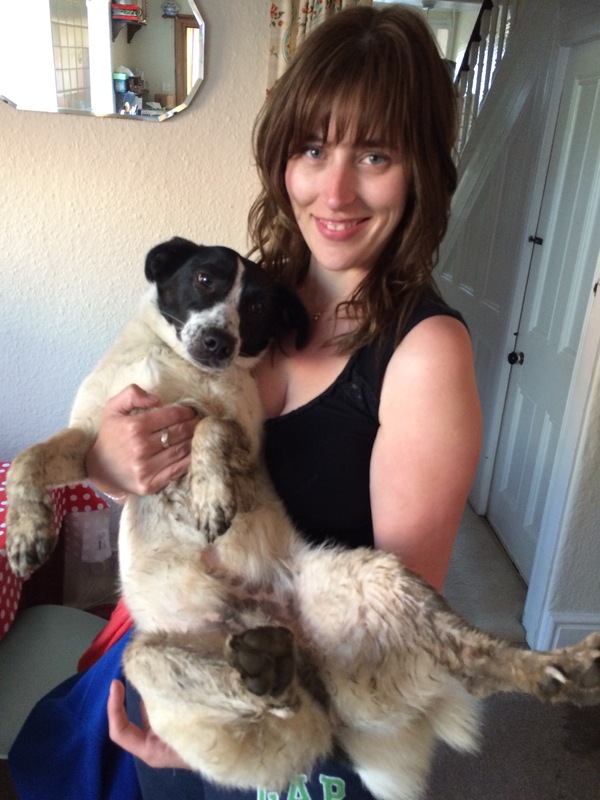 Little Oliver finally became so filthy he merited a bath. He has since returned to being a white and black dog instead of creamy brown one. 4. 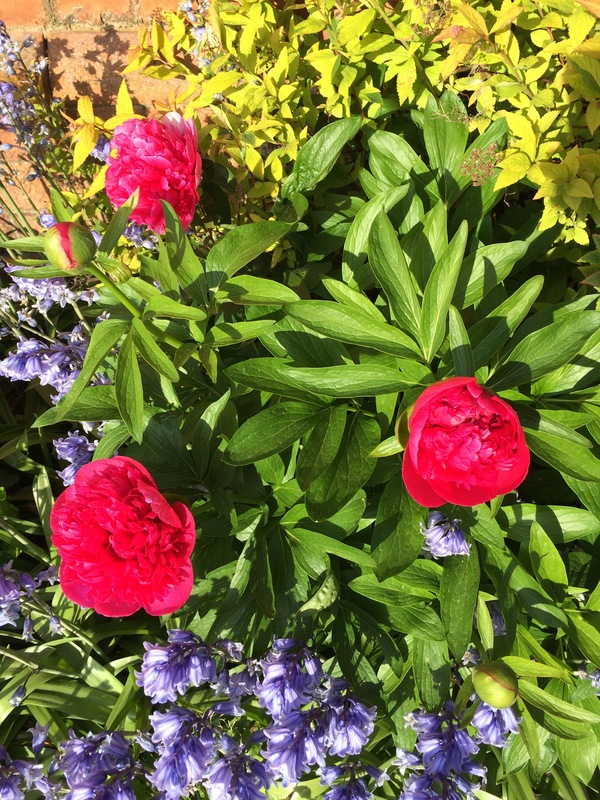 The peonies in my garden began to bloom. So pretty in the early morning sunshine. 5. 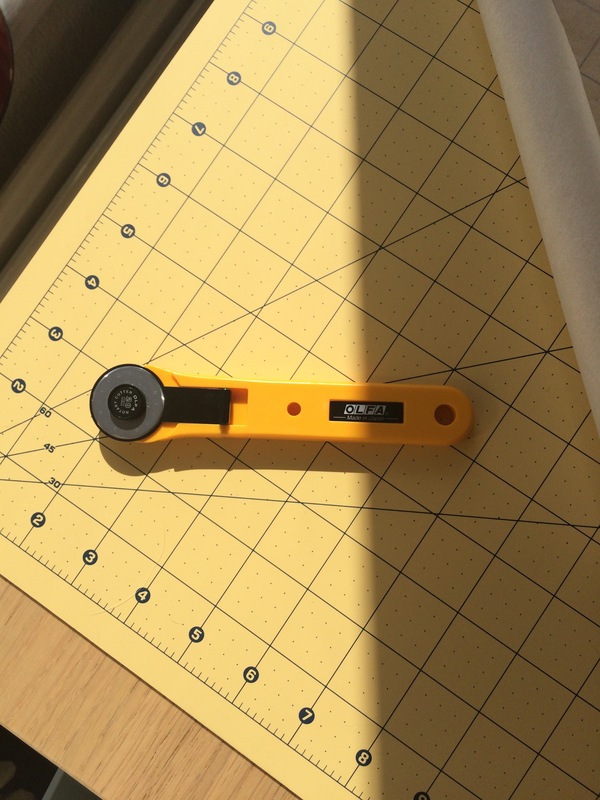 I invested in a couple of pieces of new sewing kit – an A1 cutting mat, and a much smaller so hopefully more accurate, rotary cutter. The yellow mat took some real tracking down! 6. New (fell running) trainers! 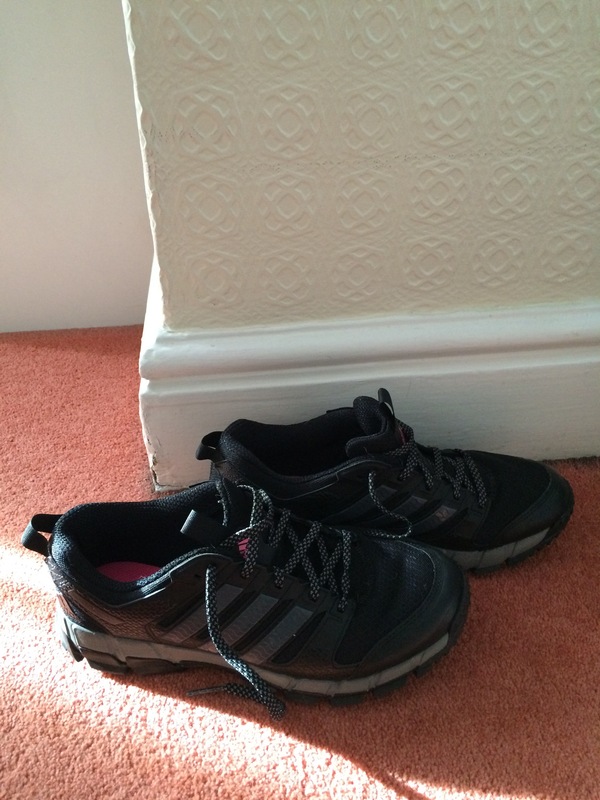 For if and when I decide to break into a run whilst out with the dogs. If not, I’m sure they will hold up pretty well just for regular walking. 7. For a change, I’m using my #7 as a challenge! I came across this item and, whilst I know what it is, (thanks to the owner!) I wondered whether you would too? One week left before half term, which promises to be busy as ever. Outside of work I hope to keep walking and making the most of the sunshine, possibly with a sprinkling of making during any spare moments. Have a great week. Funny, I was thinking yesterday how many of us post bluebell pictures, but I never grow tired of seeing them, so beautiful. Gave my boy a wash yesterday and a trim – he wasn’t at all pleased with me. I know they are gorgeous and always gone too quickly. I was also in the doggy bad books & am again today as I’m washing beds! I still have ears to clean, but still building up the courage. 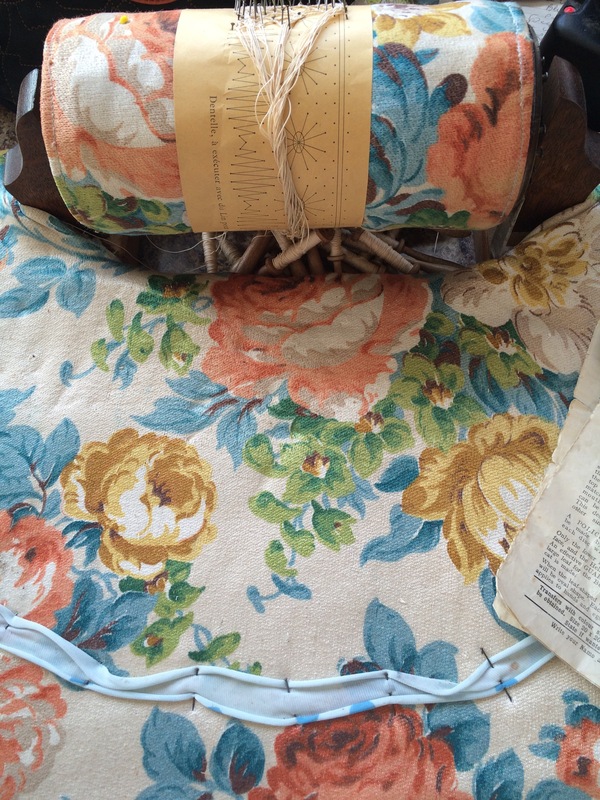 Is it a lace making cushion? It is! Well done! But sadly not belonging to me. Came with a beautifully old book of French patterns. How lovely! Hope you have time to have a play with it. Perhaps at half term? You’re not having a go at making lace are you? It’s brilliant – I could easily get addicted to it and I’ve only tried it once! How is your bigger mat and smaller cutter then? I really like the yellow ones but already have 2 green ones so I’m not sure I have room for another 😦 Olive made me laugh…he is a cutie!